Watch the top three plays from our first two weeks of our Highlander league. Watch the most intense and entertaining Grand Finals in Prolander history. 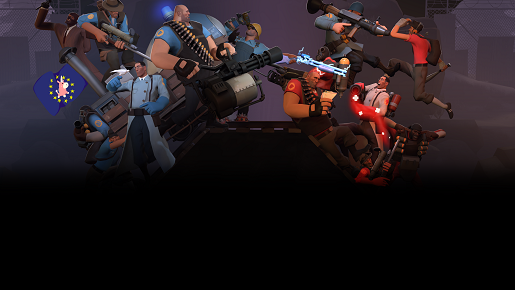 We're excited to announce a new experimental pilot league for TF2. We take pride in building the best possible communities around our leagues and a strong stances against players attempting to sandbag to ruin the experience for others. 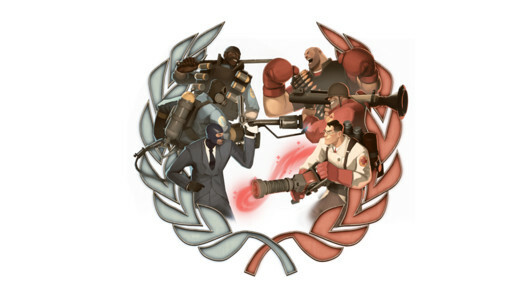 Highlander is the historically the most popular competitive format in the history of competitive TF2. When it came onto the scene in North America it quickly exploded in size dwarfing all other formats. Highlander is also the largest competitive format with nine players on each team and has a limit of one per class. Meaning every class is represented at all times during the game. Highlander also primiarily plays on Payload, Attack/Defend and King of the Hill (KOTH) maps. Why should I play highlander? This format is great if you want to play one class and only that class. You don't have to worry about a class being 'viable' at any point. 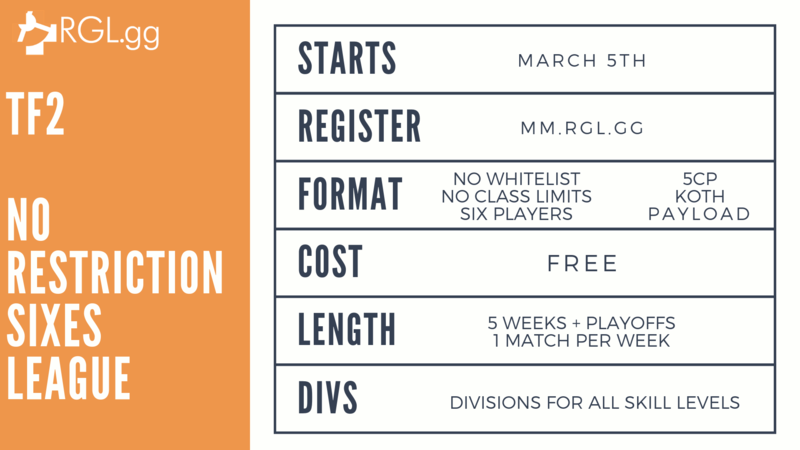 Due to the amount of players, it also plays a little closer to a casual match and can be an easiler competitve format to get into for newer comp players. Some also argue that it's the most 'tf2' competitive format since you see all classes at all times. 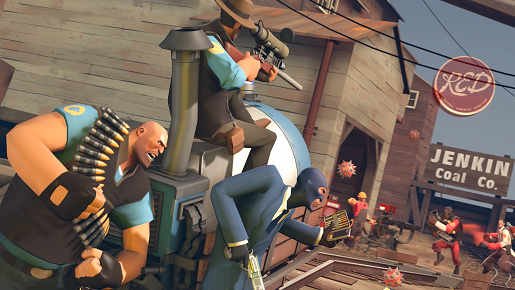 Prolander is the newest competitive format to TF2. It was concieved on the idea of trying to have the lowest playercount possible, while still maintaining class diversity and dynamic choices. Each team has seven players on either side and has the same restrictions as Highlander with only allowing one per class. It only focuses on mainly Payload, Attack/Defend and KOTH map types. Why should I play prolander? This is the format if you like seeing all classes being viable, but also not being stuck on a single class. Also allows teams to be dynamic in their lineups, as well as reactive. Do you run a pyro to help counter their spy? Run heavy/engie on defense for more firepower? etc... Fortunately there is no strict meta, even the top teams have their own unique line-ups and play styles. This allows teams to be creative in their approaches to the game. Due to the less player count, the game flows more smoothly, since it's easier to make pushes off of a single frag. Making it one of the faster paced comp game modes. "Yes it was fun to constantly guess which off class they are using." "Yes! 7s is my favorite format. More dynamic than 6s, less clunky/congested than HL." "Yes, it as fun to play competitive for the first time, and I liked that you could class switch." "Prolander is my favorite format to watch competitive TF2, and it was fun to play." "It was an interesting take on highlander that really mixes it up. There was a lot of discussion on my team on what maps we needed certain clases on for strategy purposes." What is No Restriction Sixes? No restriction sixes is exactly what the name sounds like. It is a format of six players on either side and there are no restrictions. No weapons banned, no class restrictions. It's a true free for all. It is basically like a smaller version of the casual mode settings. In the pilot season we will be playing on 5cp, Payload and KOTH maps. Why should I play No Restriction Sixes? If you want to try something that is completely different from any other competitive format out there right now. The best way to experience a format is to jump onto a team with players of similiar skill, but if you're looking to trying out competitive a little sooner. Here's some options. A long standing lobby service for TF2. Great PUGs for all skill levels. Admin ran and balanced used our own custom match-making system. A very friendly and welcoming community to new players. A great community to get started in if you're new to comp. A captain draft PUG system with the best players playing in it. This is only suggested for players with a decent amount of experience in comp HL. Getting into competitive can feel a little daunting, but once you get a taste of how fun TF2 can be at this level... Well there's a reason why TF2 has had such an active and passionate competitive community for all these years. The best way to get start is getting onto a team and joining one of our leagues or cups. How do you do that? Go back up to our leagues section click on the one you're interested in joining. Then go to the registration page to get more details!